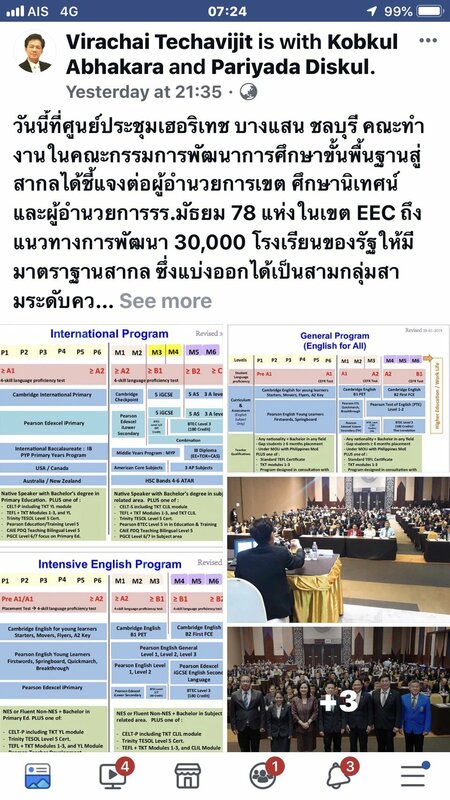 Foreign teachers will now need a recognized university degree + vocational teacher training + evidence of their language proficiency if they are non-native speakers. I know 2 people associated with the formulation of the new requirements. I received my information from them. 4-week onsite program with observed teaching practices. There will need to be evidence of the legal status of the program. IE run through a company, run from a licensed school or training organization, taxation records etc. They won't accept 'online' TEFLs. The Teacher Knowledge Test from Cambridge English. Teachers working at any of the general English programs at 30,000 government schools in Thailand. 440 of the 30,000 schools have IEPs. 19 of the 30,000 schools have IPs. The requirements take effect at all government schools from May 2019. I was told that teachers who don't meet the new requirements by May will lose their jobs. This seems extreme, so I'm skeptical. I think there will be a compromise on the start date. The MoE has signed a MoU with the Philippines government to import 2,500 Filipino licensed teachers on enhanced employment contracts at Thai government schools by the start of the new school year. I believe they will be mainly teaching on IEPs and IPs. This is Thailand and there have been many official announcements relating to educational reforms before. Few are ever implemented, but it seems from my sources that the Minister of Education is serious about implementing these new changes. Pretty ambitious goals. Are they also going to reduce the average class sizes from 40 - 50 students or do they expect conversational English classes to be effective when the average students will get, at most, a few minutes of one-on-one speaking practice with their teacher each week? It would be nice to see them achieve this goal, but I really think that they are not being realistic. Also, how do these teacher qualifications fit in with the TCT licensing requirements? Does it replace them? Or will teachers with a degree and a TEFL get an infinite number of waivers? Or did the MOE forget to talk to the TCT about this entirely? Good question. I don't know. However, I do know that school directors, the MoE and teachers have been frustrated by the TCT for many years. The TCT was set up in the 1990s to be independent of government influence; hence, even the Minister of Education cannot directly control them. 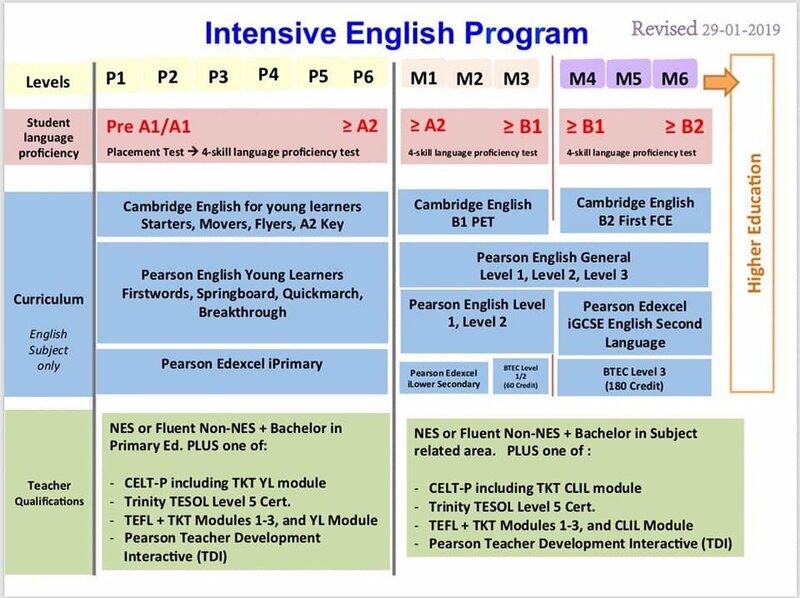 In my opinion, I think the TCT may be removed from the foreign teacher process. I'm not sure who will check qualifications and at what point in the hiring, non B visa application, visa extension and work permit process. I did hear that the MoE wants to eliminate 'waivers'. Will previous qualifications be accepted? I have a Grad Dip TESOL from London. Will that be OK or would I have to take a MoE registered one? Good ideas if true, although surely something like this takes time to implement and this will never happen by May. Excellent. Very similar to thoughts banging around in my head. 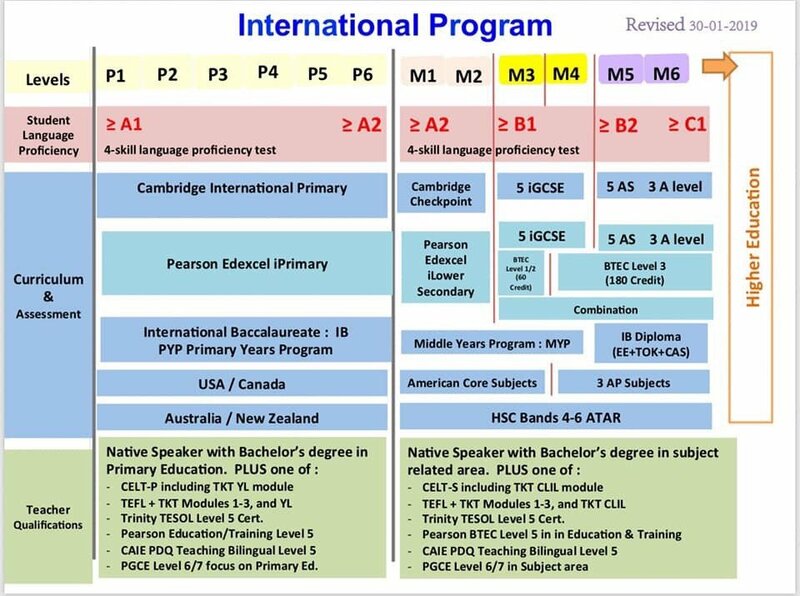 Standardize IP, EP and an international program (not Cambridge ICGSE imo is too difficult for most). No A levels. Avoid copying the Anglo system. Do it the Thai way. I'm very worried about the Filipinos. I think many degrees will be manufactured, there will be corruption. Further, I find the accent horrendous and the pronunciation atrocious. Finally, I've had poor work experiences with them. I won't list them out but both personally and what I've known to go on in the classroom. I think on the Thai side they might be exploited as well. Very worried about shonky TEFL diploma meaning something. Only 2-3 providers any real legitimacy in Thailand. After decades no clear standout educator. I can't see any mention of a B.Ed that the TCT required for licensing. Furthermore, where are they going to find NES with the extra qualifications for less that $1000 a month? The Pearson and the TKT courses are not cheap, either. Everyone makes more than 1k a month. Even the worst agencies in BKK will pay 35-36k. But, to your point. 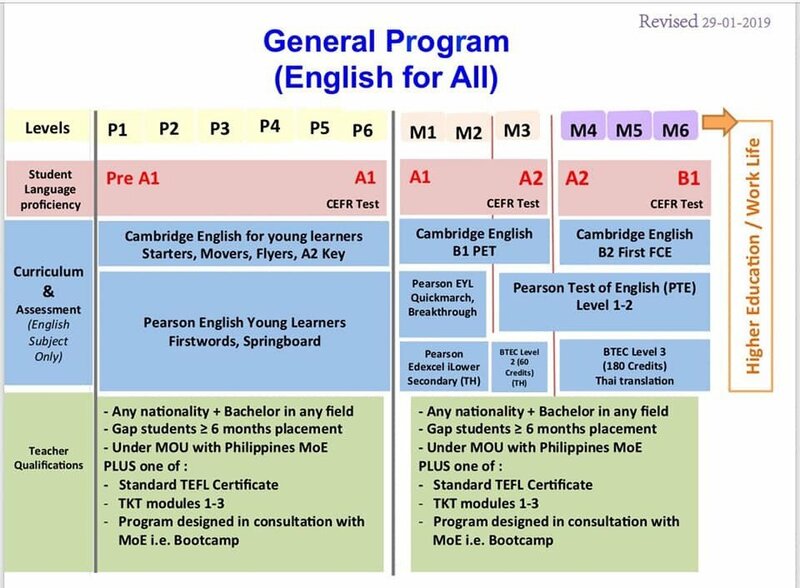 It's absolutely not worth paying for additional education, especially a worthless TEFL. Graduating with post grad all public schools won't pay a satang more. Better educated, debt, experience. Nope. Don't care. You can bet they will look to the teachers to pick this up, I'm sure they'll even be some way to manage a bit of graft. Even making 60-70k. What do you need with the course? You've broken thru and achieved competence on your own accord. Finally, no way I can see TCT lifting requirement of post grad for licencing. I have a degree (not in education) and a CELTA and many years teraching experience. I was just denied a Krusapa waiver because I've had three in a row. It's actually somewhat more than that but a new passport seemed to start it again or they f###d up. That was six years ago. To get a krusapa / teachers license I now have to do a course, Dip. ed, which is going to cost me Bt74,000 and it's a long way from where I live and on completion then have to sit a test at Kursapa. There are only two (Krusapa accredited) schools you can go to, the other school offering a Masters for Bt250,000. Both are Catholic schools. I don't know how this plays out if for example you are in Issan, Pattaya, Chiang Mai or down south. I am more than unhappy with this situation. These morons haven't got a clue. Let the exodus continue. Surely if you have worked a certain amount of years and lets say the majority at the same school then this should be seen as credit toward a teachers license. I've done 10 yrs at the same school have a BA in political philosophy and a CELTA and 15 yrs experince teaching in govt. schools in Thailand but I'm being treated like a backpacker. "Foreign teachers will now need a recognized university degree + vocational teacher training + evidence of their language proficiency..."
Regarding Filipinos "I find the accent horrendous and the pronunciation atrocious." I would assume accent influences pronunciation. Personally, I like their accents, somewhat musical and have no problem understanding them. Perhaps because I am a Yank and they used to be one of our colonies, oops, protectorates? All the Farang teachers I know have no formal quallies at all and have been working in local government schools in Isaan for years. There has never been any hint of them being stopped by Immigration let alone any checks being carried out. They are taken on by individual negotiation between themselves and the local school director who saves money not paying fees to agencies. The country has no drinking water and worst pollution on the planet. I am not involved in teaching,but the Filipinos I have met over the years including here seem to speak excellent English, whatever their pronunciation. They couldn’t do any worse than a couple of Thai teachers I have come across who could barely speak English but are teaching English grammar in Thai. I am still trying to get my head around that method. Not sure where you live, but here in the North where I live we have great drinking water straight out of the ground and crystal clear. Its far better than the water from the tap in Sydney for which we paid big money then had to filter to remove the chlorine to make it drinkable.